Tired of having boring coaster that no one notices enough to even use? 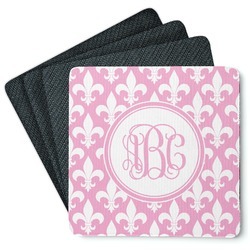 We have the perfect fix for you with these fabulous personalized rubber coasters! 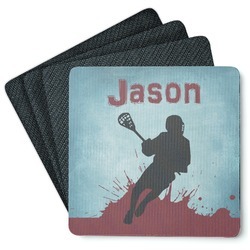 Make your coasters personalized with a pattern that can't go unnoticed! Guests will love to use your hip coasters! Being 4" x 4" they are the perfect size for most drinkware. 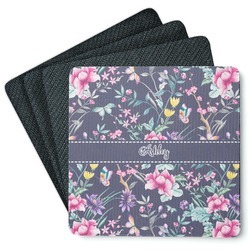 The polyester material on top helps give some grip under your cup, while the rubber backing prevents the coasters from sliding, keeping the spills at bay. This coaster set comes with 4 coasters of the same design. Hurry up and get designing in our design center! There are designs galore to choose from. You can also upload your own artwork or photos! If you ever have any troubles in our design center, please feel free to contact us!